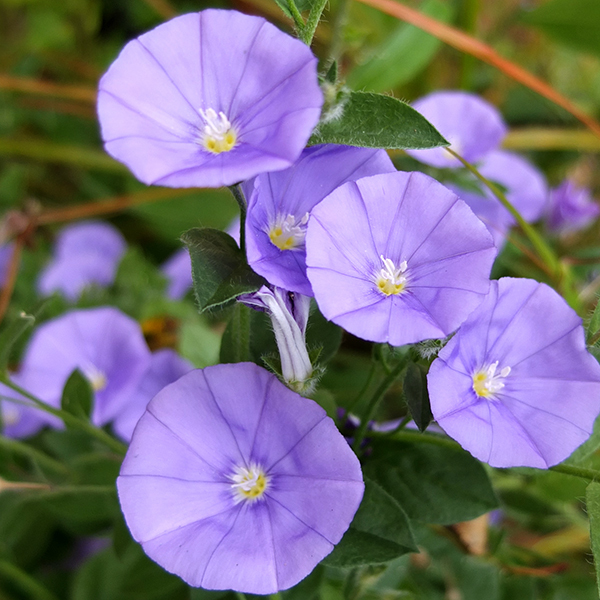 Convolvulus sabatius (blue rock bindweed) is an easy to grow trailing perennial. In my garden it drapes itself over the edge of a low wooden retaining wall by the house patio. I love its delicate blue flowers. Convolvulus is a feared name in garden circles. People immediately think of the weed which spreads tenaciously along the ground, and up and over everything in sight. Many an organically minded gardener has relapsed when the weedy Convolvulus appears. There's none in the Moosey garden, touch wood! 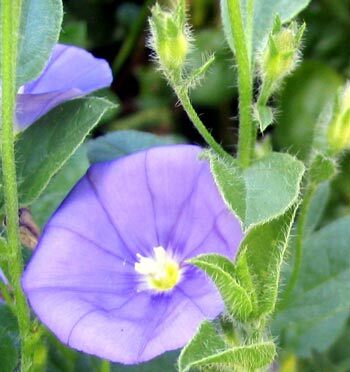 The perennial blue-flowering Convolvulus I grow is a humble little plant - it spreads in a refined manner, and flowers from spring right through into autumn. It's easy to trim it back when it gets too adventurous. I've seen Convolvulus sabatius used a lot in hanging baskets in my garden magazines. My book of perennials says it has slender stems that may twine around twigs. 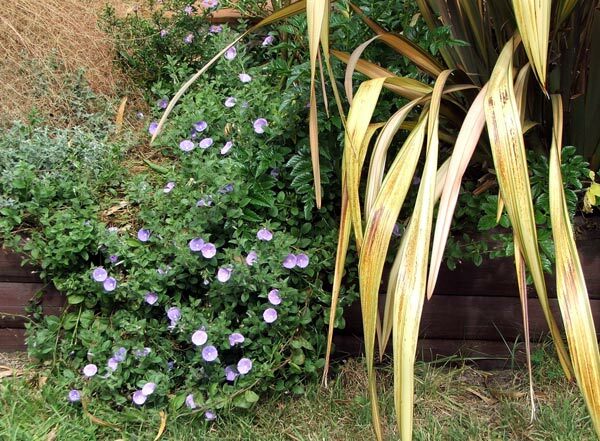 Don't be put off by its weedy relative - this perennial Convolvulus is an excellent plant!